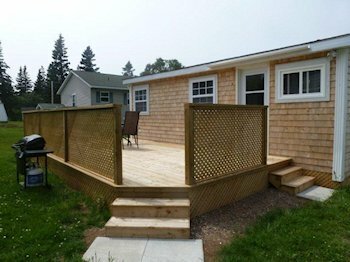 Relax & enjoy the world's highest tides and incredible sunsets from the deck of this fully equipped cottage that overlooks the Bay of Fundy in the beautiful Annapolis Valley. 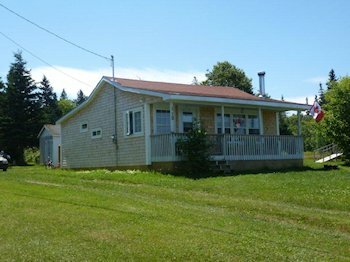 Located just a few steps to the beach, and minutes from Halls Harbour - famous for lobster suppers and deep sea fishing. 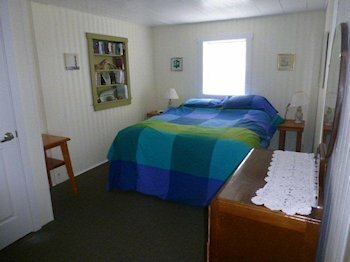 Our cottage is located on a quiet country lane, in a small community across the road from the beach. 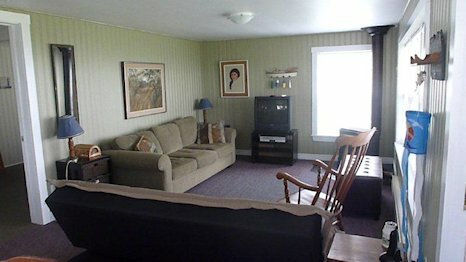 Two bedrooms (one with double bed and one with bunk beds), a large kitchen, dining and living room offer ample space. The cottage also features a lovely wood stove and two decks - one in the front for the view and one in the back for privacy. Hiking trails and a rock/pebble beach are great for exercise. 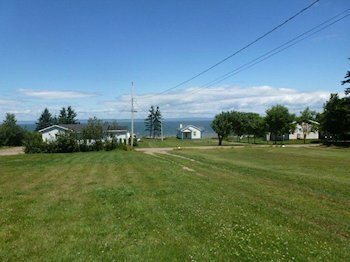 Or take a walk to Halls Harbour on the quiet dirt road (about 2 kms) after checking out the famous Charles MacDonald concrete cottages just up the road. 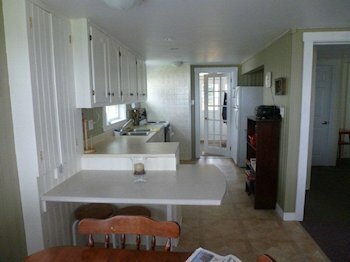 Appliances include: Refrigerator, Oven, Stove, Microwave, Toaster, Telephone, Stereo, Propane BBQ, Television, DVD Player, Coffee Maker. All cutlery, linen/towels included.